I love the embellishments - leaf ribbon, starfish and shells! Cute layout, too! Beautiful!!! Love your eye for color and your amazing coloring and shading technique. 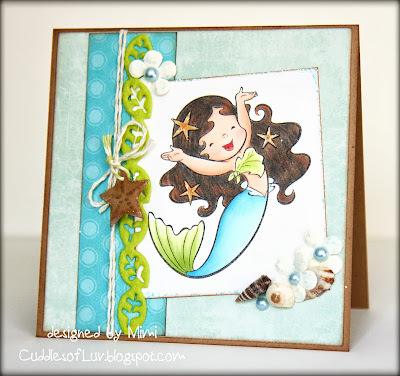 Simona looks adorable, and all the extra 3-d embellies make for a fabulous card! AWE I missed seeing this yesterday!!! 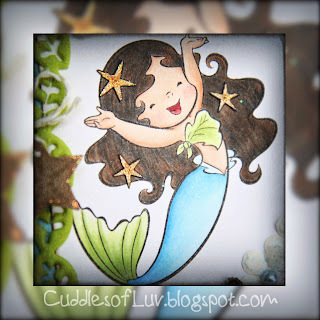 Your card came out Amazing!! She is totally Adorable!! love how you fussy cut the star fishes in her hair!!! This came out so nice! Love the details!